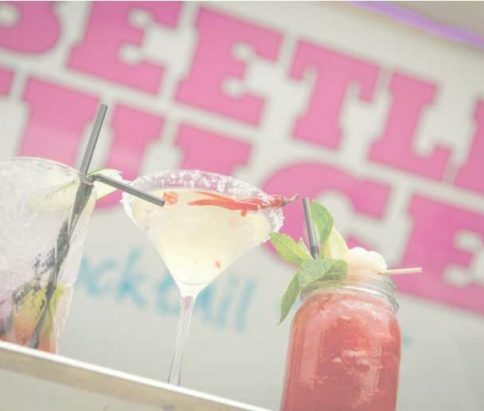 Beetlejuice returns once again to our little pocket of Yorkshire to provide us with the most delightfully refreshing cocktails! Most of their bars started life as original 1970’s VW bay window vans. They lovingly restored them and converted them into their unique design as self-contained cocktail bars. Each bar is distinctive in its colour scheme and personality, but they all conform to a minimum Beetle Juice standard. 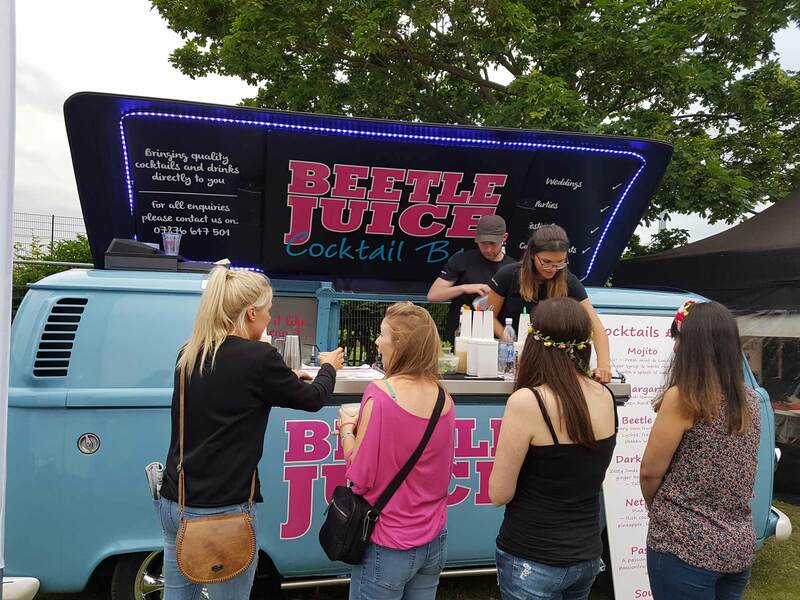 They come with a powerful built in sound system, lighting and all the equipment to deliver a mobile bar experience. 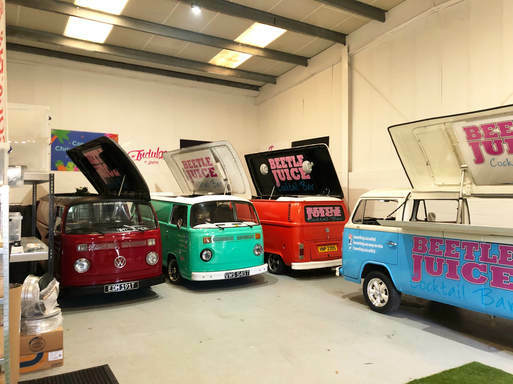 They sometimes get accused of vandalising these iconic vehicles, however Beetlejuice believe that they were designed as commercial vehicles and they are just giving them a new lease of commercial life and getting them out working in the community. In some cases, their sympathetic restorations have kept them from the breakers yard. The conversions are no more drastic than many of these vehicles experienced being converted into camper vans. 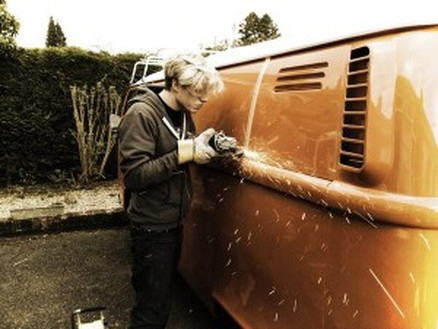 Here at UTSf think the vans are simply stunning! We have loved Beetlejuice’s energy over the years and as they left site in 2018, we simply said, “same time again next year guys!”… and they haven’t let us down yet!